The American Theatre of Actors was founded 35 years ago by James Jennings, who continues as its President and Artistic Director. Its purpose is to promote the development of new playwrights, directors and actors and to provide them a creative atmosphere in which to work without the pressures of commercial theatre. The plays are dramas and comedies dealing with the social and ethical problems of contemporary society. More than 900 new works have been presented and 10,000 actors have worked at ATA, including Dennis Quaid, Bruce Willis, Dan Lauria, Chazz Palminteri, Kevin Spacey, William Fichtner, Kathryn Hahn and Edie Falco. 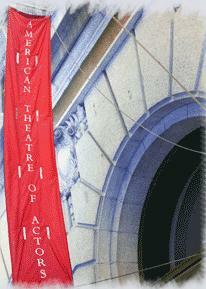 The Chernuchin Theatre at the American Theatre of Actors provides a uniquely ideal playing space for ODYSSEY. The theatre, built over 35 years ago, boasts high ceilings in a large space shared by the house and stage. When Urinetown played at the Chernuchin before transferring to Broadway, the creative team installed a U-shaped catwalk that still remains the structural icon of the theatre today. The creative team for ODYSSEY has designed this debut production to fit perfectly into the Chernuchin, making use of it’s height and unique features. Set designer Marianne Ward has dreamed up a sunken ship, built to reflect the rawness of the theatre space itself.